BALTIMORE, Maryland, September 21, 2010 (ENS) – A ship management corporation registered in Panama and doing business in Greece today was sentenced to pay a $4 million penalty for dumping oily waste and sludge at sea through a “magic” bypass hose and concealing the illegal discharges by keeping a fraudulent oil record log. Irika Shipping pleaded guilty on July 8, as part of a multi-district plea agreement arising from charges brought in three states – Maryland, Washington and Louisiana, including felony violations of the Act to Prevent Pollution from Ships. The charges are related to port calls in Baltimore, Tacoma, and New Orleans by the 738-ft, six-month old, Greek flagged cargo ship M/V Iorana. The company also pleaded guilty to obstruction of justice charges based upon false statements to the U.S. Coast Guard, destruction of evidence and other acts of concealment. Today in U.S. District Court in Baltimore Judge J. Frederick Motz handed down the $4 million sentence, which includes a $3 million criminal fine and $1 million in organizational community service payments that will fund marine environmental projects. The judge also sentenced Irika Shipping S.A., to serve the maximum of five years probation, subject to following a compliance program that includes audits by an independent firm and oversight by a court appointed monitor. Irika Shipping drew such a large fine and maximum probation because these charges are not the first it has faced for the same activities. “Irika Shipping blatantly violated the law by dumping oil in the ocean and then lying to the Coast Guard about it, completely ignoring the terms of its agreement following a previous prosecution for the same conduct,” said Rod Rosenstein, U.S. Attorney for the District of Maryland. “As part of the punishment for this crime, Irika Shipping will pay a fine of $4 million, including $750,000 to be used directly to help protect the Chesapeake Bay, and Irika will remain under court supervision for five years,” Rosenstein said. According to court documents, the investigation into the M/V Iorana was launched in January after a crew member passed a note to the Customs and Border Protection inspector upon the ship’s arrival in Baltimore alleging that the ship’s chief engineer had directed the dumping of waste oil overboard through a bypass hose that circumvented pollution prevention equipment required by law. During a Coast Guard inspection on January 8, the Coast Guard obtained photographs taken on a whistleblower crew member’s cell phone showing the use of a 103-foot long “magic hose” to bypass the ship’s oily water separator. The illicit bypass system used to discharge oily waste and sludge was routed through the ship’s boiler blow down system where any trace of oil could be steam cleaned away. The illegal discharges were concealed in a fraudulent oil record book, a required log in which all overboard discharges must be recorded. Judge Motz ordered that the four crew members who notified authorities about illegal discharges of oil and plastic from the M/V Iorana should be awarded $125,000 each. The Act to Prevent Pollution from Ships provides that whistleblowers may receive an award of up to one-half of fines collected under that law. In Maryland, $750,000 of the criminal penalty will go to the congressionally established National Fish & Wildlife Foundation and be used for Chesapeake Bay projects. In Washington, $125,000 will go to environmental projects in and around the waters of Puget Sound and the Straits of Juan De Fuca, which separate the United States and Canada. In Louisiana, $125,000 will go toward funding habitat conservation, protection, restoration, and management projects to benefit fish and wildlife resources and habitats. “EPA is extremely pleased that part of the sentence will be used for projects to enhance the quality of the Chesapeake Bay, North America’s largest and most biologically diverse estuary,” said Fred Burnside, director of EPA’s Office of Criminal Enforcement. Back in 2007, Irika Shipping was also the operator of the M/V Irika, a ship subject to a similar prosecution in Tacoma, Washington, where the ship’s owner, Irika Maritime S.A., and the ship’s chief engineer were convicted. As part of the sentence in that case, both Irika Maritime and Irika Shipping were required to develop and implement an Environmental Compliance Plan that would apply during a four year period of probation to the entire fleet of vessels managed by Irika Shipping, including the M/V Iorana. In connection with its 2010 guilty plea, Irika admitted that it hired back the convicted chief engineer from the prior case who committed new violations on the M/V Iorana during the probationary period. 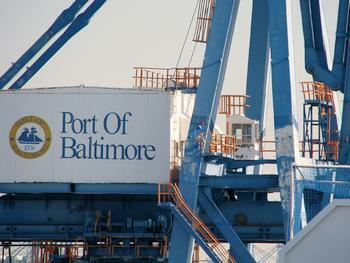 A subsequent chief engineer, Triantafyllos Marmaras, was in charge at the time of the January 2010 inspection in Baltimore. Chief Engineer Marmaras pleaded guilty in June 2010, in U.S. District Court in Baltimore, to obstruction of justice charges in a related case. In its guilty plea, Irika Shipping admitted that illegal discharges took place after the ship’s first voyage in June 2009 and continued through the middle of December 2009. The company said in its statement of guilt that approximately 23 cubic meters of oil contaminated sludge and bilge waste (approximately 6,000 gallons) were dumped overboard in December 2009 during the voyage from Gibraltar to Baltimore using the magic hose. The flanges where the bypass hose was connected were repainted before arriving in port in order to cover up tool marks caused when the hose was connected and disconnected, the company said. The magic hose bypass was used at night, and plastic bags filled with oil soaked rags were dumped overboard at night. Irika Shipping did not have a company budget for waste management or a waste management plan. Irika’s crew members received little training regarding the company’s environmental policies. Crew members were not informed by the company that it was to have been operating under a court-imposed Environmental Compliance Program.